A country needs great national spirit and so does a city. That’s the reason that Beijing, the capital of China announced “Beijing Spirit” on 2nd, November, 2011. 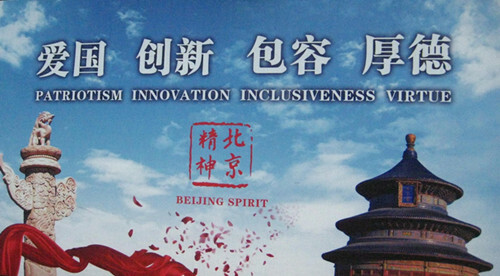 Beijing Spirit includes Patriotism, Innovation, Inclusiveness and Virtue. This is the summary of the spiritual wealth formed in the development and practice of Beijingers. It has become a guide to Beijing citizens’ practice since then. As an advanced local enterprise in Beijing, Raqsoft integrates Beijing Spirit into its long-term development strategy. Innovation is the soul of a nation to progress and vitality source of a city. Innovation is also the essence of Beijing Spirit. Therefore, to make contribution to Beijing’s development, the enterprise should focus on innovation. Raqsoft, the supplier of desktop BI software attaches great importance to innovation at the very first beginning of its foundation. With 12 years development, it becomes the industry leading BI solution providers in China. Its two self-developed products, esProc and esCalc are the typical examples of innovation and represent the new generation of desktop BI tools. In addition to innovative products and advanced technology, Virtue also plays an important role in the development of an enterprise. Enterprises should operate with integrity and treat their customers honestly. As a responsible enterprise, Raqsoft always takes its customers’ interest as priority and offers them the best products and service as it has promised. When it comes to inclusiveness, an enterprise shows this characteristic with adaptability of international market. Raqsoft undoubtedly does outstanding job in this regard. Its two desktop BI software, esProc and esCalc are easy to use and flexible to meet requirements of various customers from different countries.